Award-winning artist and woodworker, Scott Grove showcases his work with veneer and shares his hands-on experience with milling, flattening, various cutting and seaming methods, traditional and non-traditional layout patterns, glues, pressing, and repairing. Grove’s pioneered techniques, wavy contours seam and spiral match is included in a special section. Traditional and alternative techniques are reviewed with comparison examples. In more then 270 color images step-by-step instructions are illustrated and renderings along with easy to understand explanations. 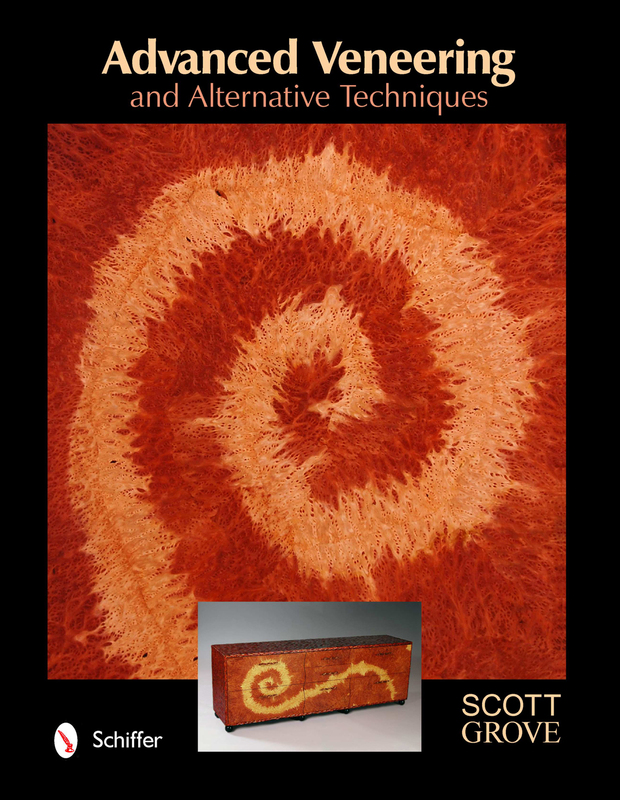 Thirty years of experience, tips, tricks, and “what to look for” suggestions are placed throughout this must-have book for intermediate to advanced woodworkers. Scott Grove, a self-taught woodworker and an active member of the Furniture Society, exhibits his furniture pieces in galleries and leading shows across the country. Grove has won numerous awards and has been featured in a variety of publications and TV series. He maintains a studio in downtown Rochester where he creates art furniture and sculpture.